My Labor and delivery were very intense, and my experience did NOT go as we had planned or expected. Actually, I would describe it as the exact opposite of what we planned for. Was it all worth it to have our beautiful little girl here with us now? Absolutely!! 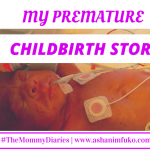 In this first post, I’ll be sharing my crazy and unexpected labor and childbirth story. Please share this post with your friends and family on social media, and feel free to leave me a comment below. 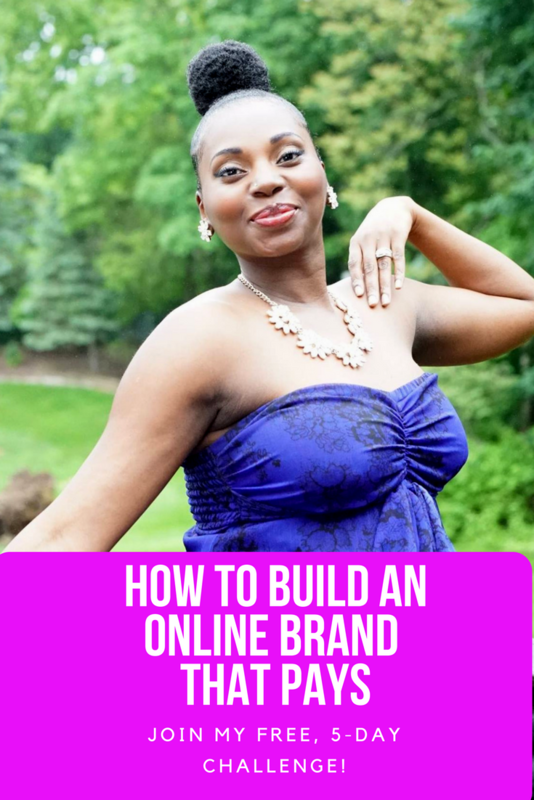 The mommy community is truly a wonderful one to be a part of, and I hope that I will be able to help and encourage other moms through my blog, as so many of you have done for me! At around 4 am on Saturday morning, I went into early labor, and had the pleasure (not really), of being awakened by a very painful contraction. After about an hour of having contractions around every 10-15 mins., I woke up my husband to let him know that I was in labor. But since we’d taken the Childbirth classes at our hospital, we knew that there was a LONG road ahead of us, so we didn’t stress it too much. My hubby then got up, and started the process of timing my contractions, through an app on his iPhone. I called our Doula around 6 am to let her know as well, and she directed me on what to do for the next several hours, and to give her a call and check in with her again later on in the day. I was still able to do a lot of things while I was in early labor, because my contractions were so far apart and inconsistent at that point. Hubby and I actually did some shopping at Whole Foods, Marshall’s and Home Goods lol. But, at around 7 pm, things changed, as I began to transition from early labor into active labor. I called our awesome Doula, named Kyra Caruso, around 9 pm to let her know that I was in active labor, and she came to our place to labor with me. We labored at home until about 12:30 am, then headed to the hospital. When I arrived to the hospital, my contractions were 3 mins. apart, and as soon as we got to the maternity ward, my water broke (what a weird feeling that was)! Baby Zuri was born on Sunday, Nov. 17, 2013 at 7:10 pm in NYC! Labor contractions are definitely very painful. They come in like a wave. The pain starts off at about a level 4, then peaks at level 10, the slowly comes back down to zero. It’s a pain unlike anything you’ve ever experienced before! But if you use your breath, try to relax, and focus on breathing through the pain vs. tensing up during the contraction, you will get through it. I was in labor for about 32 hrs, with no drugs (we planned for a natural, vaginal birth). My total labor time was around 45 hrs total. After 6 hours of our daughter being stuck at 6 centimeters, and not making any progress, they gave me pitocin to try to help move things along. After receiving the pitocin, the contractions got even more intense, and it unfortunately wasn’t even helping things to progress at all. At that point, I finally got an epidural, because I was just in so much pain, for so long, and there was no sign of progress. It was quite difficult to receive the epidural because, you’re supposed to sit still while they administer it, but I was still having very painful contractions, so it was really hard! But boy was it worth it! Once it kicked in, I was able to sleep, and relax, which was just what I needed, after laboring for so long. My advice: Get the epidural! There’s no need to experience so much pain if you don’t have to. Plus, you’re not totally numb. You can still feel the contractions (slightly), and move your legs. So don’t worry about that. After our baby girl was stuck at 6 centimeters for a total of 12 hrs, we were told that I needed to have a c-section, which I did. My husband and I were not happy about it at all and consulted our Doula, nurse, each other, and prayed. to get some perspective on whether or not this was truly the best option for us. We even asked the doctor to give us another hour to talk about it, and discuss what my options were. At the end of it all, we all agreed that, after 12 hours stuck at 6 centimeters, and not a positive response to the pitocin, we realized that a c-section was the best option, and we just wanted our baby girl to be out, and to be healthy. After shedding some tears, and praying with my hubby, I was ready to embark on my very first surgery. So, into surgery I went. The surgery was much longer than I expected actually. Although it only takes about 15-20 mins. to get the baby out, it took at least another hour for them to finish my surgery. And as a result of the anesthesia, and the overall shock to my body, my upper body was shaking uncontrollably the whole time (except for when my hubby brought our little girl over to me to meet her for the first time). It was truly an unforgettable experience! After being taken to recovery, I did experience some nausea and threw up a couple of times, which was just a side effect of the anesthesia. But I was able to start breastfeeding immediately, and our little girl did not need any direction or coaching at all! She was a complete natural, and has been ever since! Baby Zuri at 1 Week Old! I don’t know why things went the way they did, but I just kept telling my husband, even through my tears that, “I don’t understand why this is happening, but I trust God”, and my faith truly brought me peace. We have our plans, and God has His plans, so ultimately you have to trust that God will bring you through whatever you have to go through victoriously. Overall, the experience was totally worth all of the pain that I went through because our little girl is AWESOME & BEAUTIFUL!! What was your labor/childbirth experience like? Did it go as planned? Share your experience with me in the comments below. If you have any questions for me about my experience, you can post it in the comments below as well. God bless! 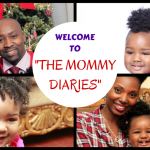 Hello Motherhood, Goodbye Kiner Enterprises, and Merry Christmas! Yes Ashani. I will NEVER forget the pain. I was pregnant with twins and went full term. I did not want the epidural either. 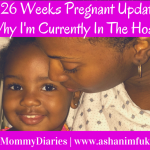 I was in labor from December 28th – December 30th all because I did not want to get theepidural. Once I got the epidural, I fully dilated and pushed my baby girls out. They will be 14 next month and I have not had any more because I can think about that pain and not want to do it again lol. Congrats on your baby and healthy birth… Zuri and I share a birthday. So Happy Birthday Zuri. All three of my boys’ birthing experiences were unplanned. Meaning I knew I wanted healthy babies and I wanted to do it as naturally as possible, but I didn’t plan my birth with a Doula or a Doctor, I just remained patient in anticipating my sons arrivals. My oldest son was born in Germany I labored for 32 hours. I did get pitocin, but with all three births, I opted for the epidural right away, and the pushing started right after. Congrats again to you and your family. Thank you for sharing your story. Congrats on your new bundle of Joy! 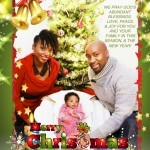 Zuri is beautiful. She shares a birthday with my daugher and our cousin Lytia! Your labor and delivery experience sounds much like mine and my daughter’s. We were both in labor for over 32 hours and ended up having to have C-Sections. That is an experience that you will never forget. In the end it was all worth it. Again congrats, I know you are going to be a great mom! Love you! Congratulations Ashani! We at Pi Design were so happy to hear about your baby! I totally agree with you with the whole epidural thing, I myself was hoping for a no-drugs birth delivery, but being in labor for so long, I just had to get it and you’re right about staying still when the epidural is being placed, it was hard!! But I’m glad everything went well, hope you recover super quick, Zuri is beautiful! Thanks Nethia! I will definitely check it out! I cant believe we had such similar experiences! That’s so crazy! And he weighed 9 1/2 lbs.?!!! You are definitely a SUPERWOMAN!! Congrats on your 2nd pregnancy! Sounds like you’re a great mom, and the new addition will just make your life that much more rewarding. After 3 months I just realized I could access your blog and read about your child birth experience. As you know I was not able to conceive and adopted Christie, but your experience mirrors my sisters in many ways. The hours of labor, the medication to help you sleep and not be in pain and most of all being stuck at 6 cm for so long before the C-section was performed. I know it was a lot to go through and you say if there is another child, but my sister did have a second child and learned important lessons from her first delivery like you did. Like you said you and Fredy may have one set of plans but the Lord may have a different plan for you. I cried for days when I found out I wouldn’t be able to carry a child and questioned why is this happening to me, but God had a totally different plan and just kept my faith in Him and He brought me through it with an awesome daughter. I always wanted a large family but this was God’s plan and who am I to question that. Someday we will have to sit and talk and I can tell you my testimony. Love and prayers to you and your precious family.